Taking Too Long To Dry? KC Appliances and Repair has become the trusted go-to dryer repair company in the Kansas City metro area. Our appliance repair service professionals who work for us specialize in all major brands of dryers. Targeting the correct failing part(s) require tests to diagnose and pin-point the cause of the problem. You can be certain our factory trained technicians can get your dryer back to drying your laundry again in no time. Whether you have a gas or electric dryer you will need an expert with proper tools to get it serviced properly. There are many parts that can fail, which have to work together in order for a dryer to operate correctly. 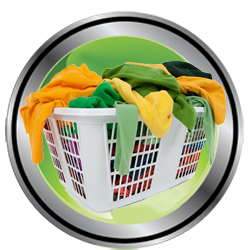 Dryers perform in a sequential operation, meaning it is a bit difficult to diagnose the cause of the problem if you are not trained. Problems can occur in either the electrical or the mechanical systems and isolating the failed part is what we do. We are confident our specialized technicians, with no less than 5 yrs experience in the field, will quickly diagnose the problem and help resolve it on the spot. • Dryer drum is not turning. These dryer problems will only add stress, and who needs dryer repair stress? The life of your dryer can be extended by regularly performing maintenance and cleaning the internal parts before they malfunction. Most importantly is the venting and the motor. KC Appliances and Repair, has certified and experienced technicians specifically trained to service your dryer completely - from heating elements, thermostats, fuses, door switches, and timers to replacing belts, pulleys, and disassembling and cleaning the interior of your dryer. Save your money and let us service and repair your dryer back to its original function. Give us a call at 816.286.4445 or 877.983.4933 x7. This company assisted my grandparents recently and they were very courteous. Extremely helpful service with suggestions and advice. Very much appreciate the friendly service. Was very pleased with the service and personnel. Very polite and friendly during repair, prompt and knowledgeable as well. You wouldn't think that these would all be so rare in a business, but this was the 3 business I called and the only one to actually show up!